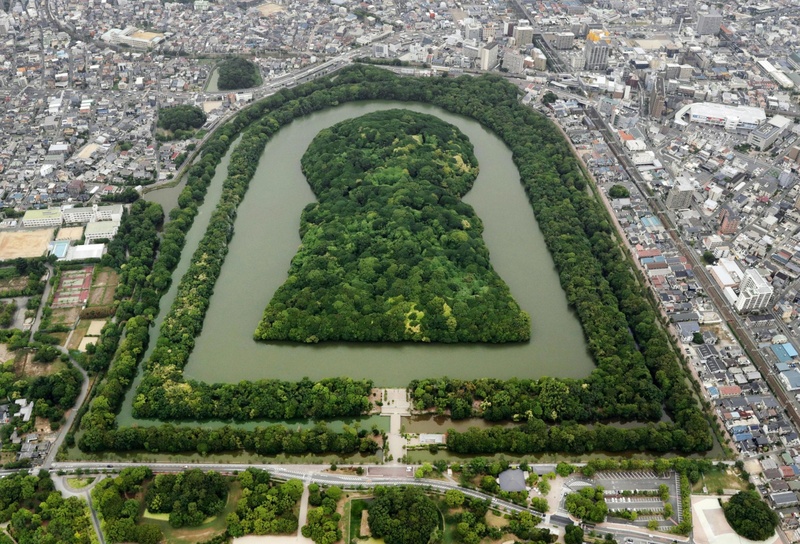 The Imperial Household Agency said Monday it will jointly excavate Japan’s largest ancient mounded tomb, together with a local government, for the first time. The excavation survey starting later this month in one of the dikes surrounding the massive tomb in Sakai, Osaka Prefecture, will be part of the tomb’s preservation efforts conducted with the municipal government. Its results will be published at the end of November. When the agency surveyed the same dike in 1973, it discovered clay figures made for ritual use. Calls for the joint survey had been increasing among academics and others as the mound has been gradually eroded by water in the surrounding moats. The agency is expected to refer to results of the survey when it conducts reinforcement work. The agency has judged it necessary to cooperate with local authorities, which have long engaged in protecting the cultural asset, one of its officials said. 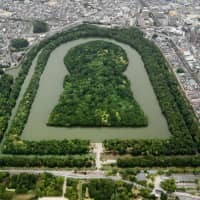 Japan is seeking to register an ancient tumulus cluster that covers the Daisen tomb as a UNESCO World Cultural Heritage site. The tomb is known as one of the three largest in the world, together with the Mausoleum of the First Qin Emperor in China and the Great Pyramid of Khufu in Egypt.